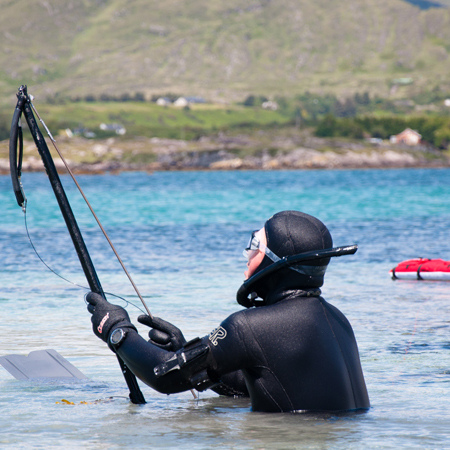 The Spearfishing Ireland website was created to promote spearfishing and to assist in scientific and spearfishing efforts. In keeping with the need for change, and through the voluntary efforts of divers and other individuals who wish to see freediving and spearfishing reach it’s highest possible standards of excellence. Spearfishing for some people is a way of life. For others is an extreme sport and an endless journey into the ocean. There is no doubt that spearfishing has been attracting more and more people in recent years. With spearfishing and breath holding we can stop our time for a few minutes and disappear into another world.